Afew of my high school friends and I went to Cafe Bene to have dessert last Friday. It’s on the second floor on top of a bar&grill. It’s a cute little quaint place. It’s quite small but the tables there have a sense of privacy due to the way the place is structured. There are also rooms for karaoke. One friend had the affogato coffee which is ice cream with chocolate syrup drizzled on it in coffee. Another friend had iced peppermint latte. 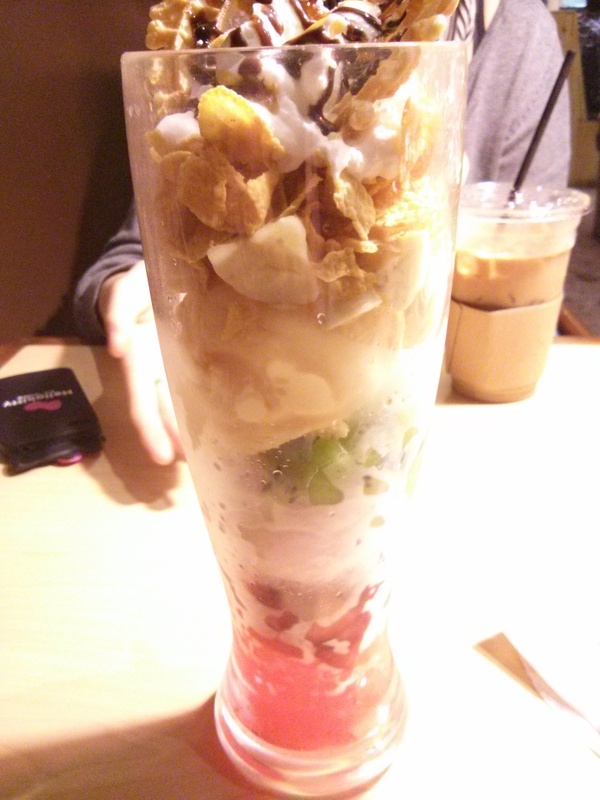 I got the parfait ($9 including tax). 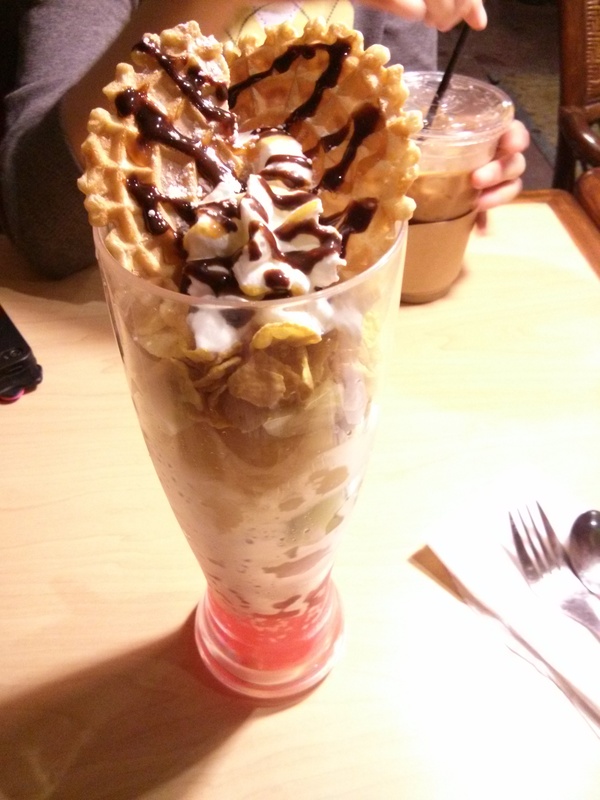 The parfait is made of crushed ice, pieces of strawberries, strawberry ice cream, pieces of kiwi, mango ice cream, pieces of bananas, cornflakes and waffle cookies with chocolate syrup drizzled on top of whipped cream. It was yummy. Overall, if you’re in North York and feeling like dessert, coffee, or karaoke in a nice, small, fairly quiet place then Cafe Bene fits the bill.